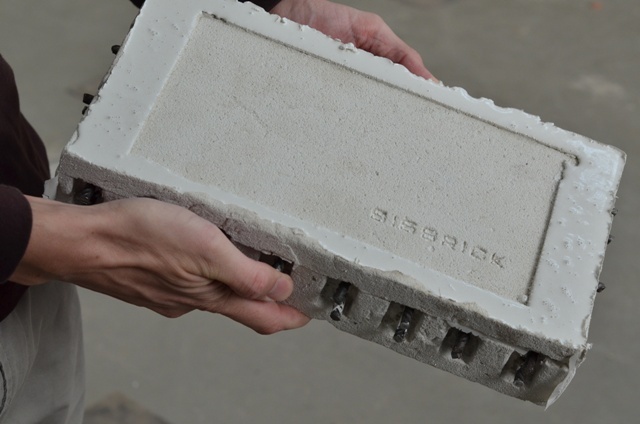 Sisbrick is a new class of earthquake-resistant building materials that seismically isolates partition walls from the main building structure, significantly reducing the tension between these two elements and, therefore, the damage incurred. Researchers from the Universitat Politècnica de València (Polytechnic University of Valencia, UPV) have designed a new seismic isolator that improves the way buildings respond to earthquakes. The key to the Sisbrick, as the invention is known, lies in the way different materials have been combined to achieve two main effects: it is able to absorb horizontal seismic movements, while also supporting vertical loads (for instance, partition walls) that act on the integrity of the building frame. Designed specifically for use in partition walls, its brick form means it can be readily incorporated into traditional construction techniques, without the need for additional measures or equipment. Techniques and special bricks to improve the way buildings respond to earthquakes are already available on the market. However, what sets Sisbrick apart is its approach to partition walls. As researcher Luis Pallarés at the UPV’s Concrete Science and Technology Institute (ICITECH) explains, these structures greatly condition a building’s response to a seismic event. Merely making partition walls more resistant does not address the more widespread damage caused by earthquakes. The Sisbrick’s large capacity to absorb the horizontal movements caused by earthquakes seismically isolates the partition walls from the main building frame: “They effectively serve as an insulating barrier, avoiding the transfer of loads from these partition elements to the main structure. By doing so, their impact on overall structural integrity in the face of an earthquake is greatly reduced” (Pallarés). This also brings real seismic response into line with projected seismic response as calculated at the building design stage. Francisco Javier Pallerés, also of ICITECH, tell us that “today, seismic calculations only take into consideration the structure of the building frame and do not consider the partition walls, despite the clear and widely-reported influence they have on a building’s response to earthquakes”. By isolating the partition walls from the main frame, these calculations become more reliable. On top of the convenient brick form, only a relatively small amount of these bricks is needed to achieve this seismic isolation. Laboratory testing proves that, if the bricks are arranged in a specific way, just a small amount can afford significant gains in seismic wave absorption. Specifically, partition walls that incorporate Sisbricks can absorb horizontal movements in the order of three times greater than those that do not. This translates into considerably less tension in the partition walls, meaning correspondingly less tension is transferred to the building frame during earthquakes. The Sisbrick has been patented by the UPV. Testing is currently being carried out into the thermal and acoustic isolation afforded by this material, in order to comply with the specifications of the Building Code. The team at ICITECH is currently looking for collaborators for the implementation, manufacture and commercialization of this product.